Does your breath need a savior? 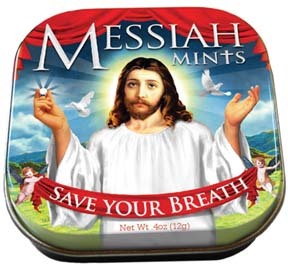 Praise the Lord that you can now buy Messiah Mints! Here's how we see it. The more unbelievable the claim is that is being made, the more solid the evidence needs to be in order to prove the claim. This video shows Todd Bentley claiming that the 'outpouring' in Lakeland had produced 13 resurrections. Notice that in the beginning minutes he makes references to the Nightline news crew that was coming to report on the 'outpouring'. Bentley sounds excited that they were coming and makes it sound like he was going to provide proof to support the claims of healing and resurrection. Instead, the Nightline story emphatically claimed that there was no evidence provided to support or prove that even one healing had taken place. We think that Pastor Frank from Faith Church in Millford, CT is quickly becoming the poster boy for 'Man Centered Sermons' here in the Museum of Idolatry. The marketing slug for his latest anthropocentric 'sermon' series has us scratching our heads asking, where in the scriptures can you find a single sermon preached by the Apostles that tells you how to find your God-given destiny? (See 2 Timothy 4:3-4). Our working theory is that Pastor Frank is jealous of Joel Osteen's success and is trying desperately to build his church into Lakewood North East. Here is our latest inductee to the Graveyard of Relevance. 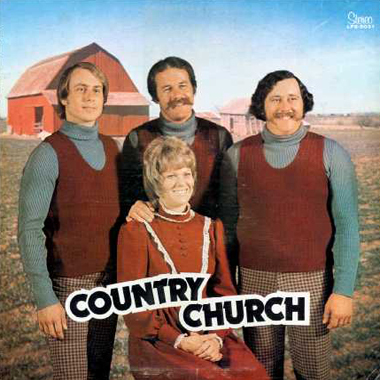 We think that Country Church used to meet on the set of the Green Acres T.V. show. Once again this proves that relevance is a fickle mistress. One day she makes you look like you're on top of the world the next day she makes you look like last week's leftovers. 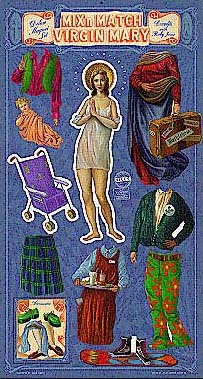 Cause everybody knows that the Virgin Mary was a Roman Catholic and therefore wore one of those Catholic school uniforms before she gave birth to Jesus. Is this a Christian Message? What exactly does XXXChurch hope to accomplish through this particular campaign (other than offending just about everyone)? 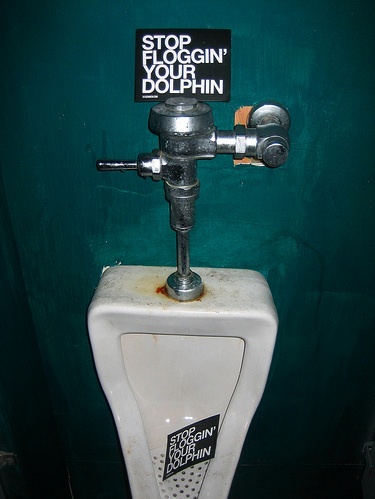 Let's pretend that through the magic of this marketing piece that everyone who sees this decides to stop 'floggin their dolphins'. Does that mean that they've become Christians and are now saved? We don't think so. 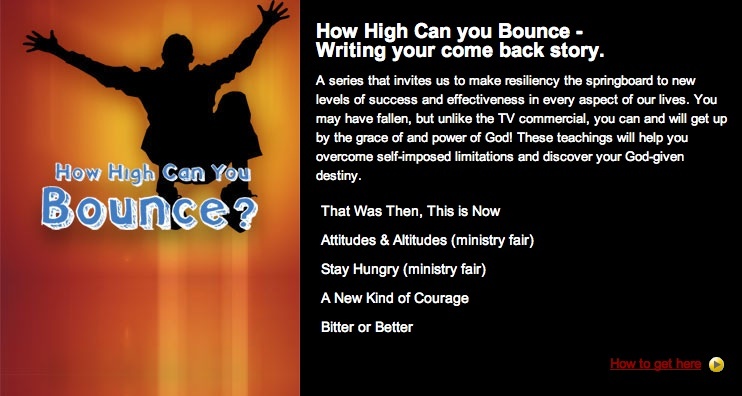 One particularly poignant episode of South Park mocked the Christian music industry. In that episode the crass little creeps from South Park started a "Christian Band" by changing the lyrics to popular love songs. Every time the word 'baby' appeared in a song they replaced it with the word 'Jesus' and viola, the song was 'Christianized'. 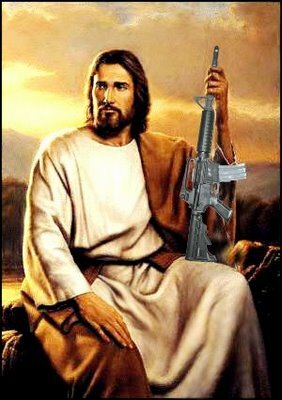 Of course if Jesus' Earthly ministry were happening in our modern day he'd be carrying an assault rifle. Duh.